Room Only and 'Hotel with Parking' package deals are available. 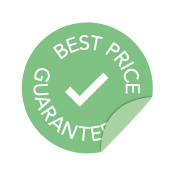 Best rate always guaranteed. All hotels offer shuttle services to all terminals which means that you don't need to stay at the hotel closest to your terminal.